Bordertown Estate Winery and Vineyards is located in the heart of picturesque Osoyoos. There’s no better place to enjoy Bordertown’s award-winning wines than right in our Tasting Room. Based on the 2018 Wine Align award results, Bordertown is ranked #9 out of the top 10 wineries in BC. 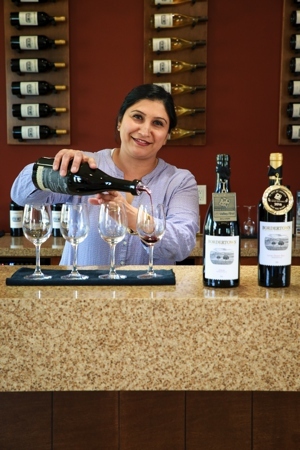 The Tasting Room Associate helps puts a face to the Bordertown wine brand and provides the energy and enthusiasm for delivering an exceptional experience to our guests. Must be willing to work weekends, holidays and at special events as required. Providing an exemplary tasting room guest experience including hosting wine tastings, sharing knowledge regarding our story, philosophy, award-winning wines and vineyards. Serving customers in a friendly and positive manner. Promoting Tasting Room sales and online sales. Promoting the benefit of Bordertown’s Living Desert wine club to Tasting Room visitors. Ongoing maintenance of Inventory, stocking, merchandising, debit and credit card sales, and cash out. Duties may include attending select special Bordertown offsite consumer tasting events. Maintaining a high standard of cleanliness and presentation of the retail area and tasting room and patio. – Formal wine training (Level one WSET is an advantage). Please note that this is a seasonal (May-September) position with the potential to extend throughout the winter months.